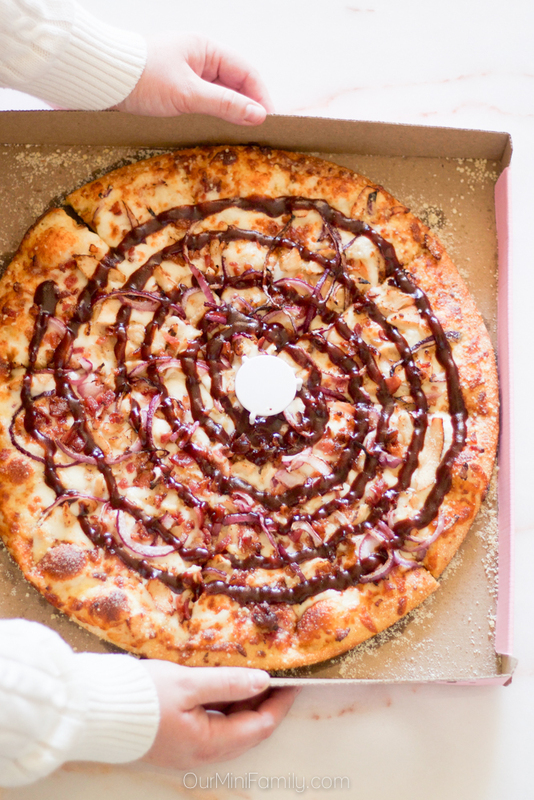 How You Can Support Breast Cancer Awareness & Enter to Win Free Pizza for a Year! Support breast cancer research and enter to win free pizza for a year! Thank you to Hungry Howie's Pizza for partnering with me on this post to help get the word out about their contest! While I was studying at Arizona State University, I remember many nights starting (and oftentimes ending) with a Hungry Howie's Pizza run! Their location in Tempe is nostalgic for me for this reason, because every time I go back in there I am reminded of the years I spent making friends at ASU all while pursuing my bachelor's degree and participating in my community service sorority, Omega Phi Alpha! During my time as an active sister of the Omega Phi Alpha sorority, we had a tradition we would hold every year where we would all participate in the walk for breast cancer awareness at Tempe Beach Park. Although I have been fortunate to not have to battle breast cancer on a personal level, I make note to try to get the word out however I can during October, which is National Breast Cancer Awareness Month, and I try to support businesses that make donations based on sales to associations such as the National Breast Cancer Foundation®. For every pizza purchased in October, Hungry Howie’s will make a donation to the National Breast Cancer Foundation®. So far, they have raised over $2 million for free breast cancer screenings and breast cancer research thanks to those participating in the #LoveHopePizza campaign! You can get involved and help breast cancer research and breast cancer awareness just by ordering a pizza from Hungry Howie's Pizza this October. Also, you can enter to win their #LoveHopePizza pink pizza box contest and have a chance at winning free Hungry Howie's Pizza for a year! Hungry Howie's Pizza was a staple of my late-night diet while studying at Arizona State University! But even years later, I still find myself making the trip across town to visit the spot where I spent so many nights with friends making memories in college for a nostalgic pizza night! 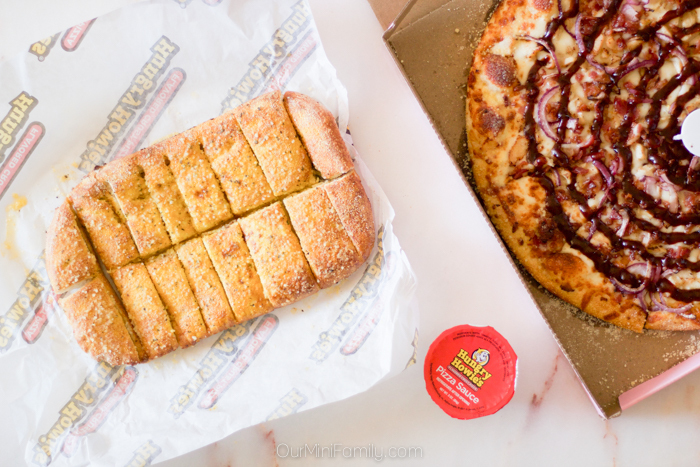 My favorite is their barbecue chicken pizza, and Adam cannot keep his hands off of his Howie Bread® whenever we order Hungry Howie's for dinner! 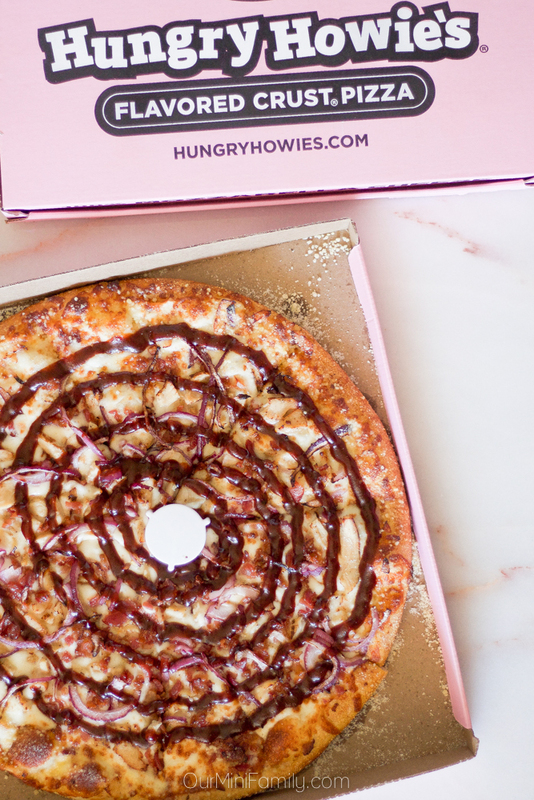 When you order pizza from Hungry Howie's the month of October, Hungry Howie's Pizza will make a donation to National Breast Cancer Foundation®. 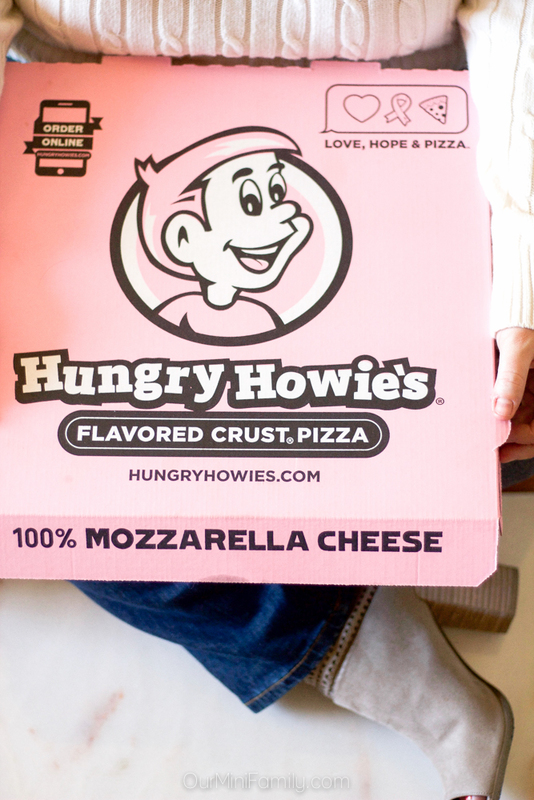 After you order and enjoy your pizza, be sure to save your pink pizza box and you can enter to win free pizza for a year from Hungry Howie's! 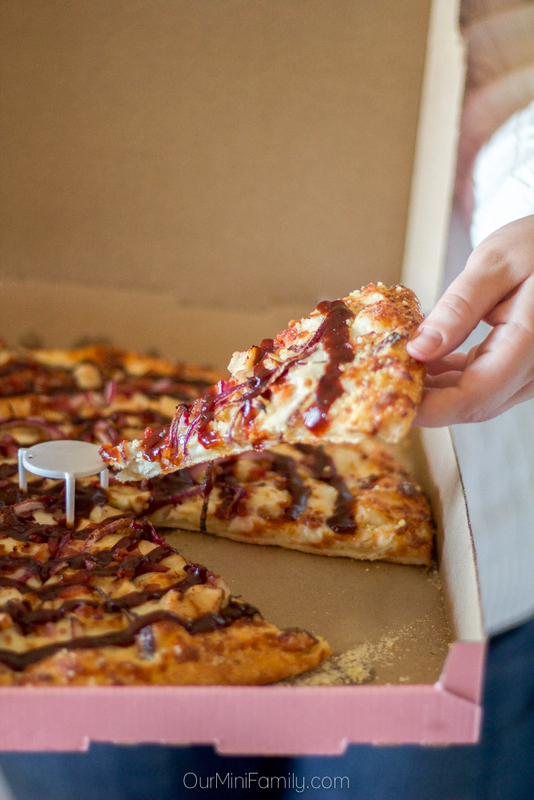 Order pizza from your local Hungry Howie's Pizza. 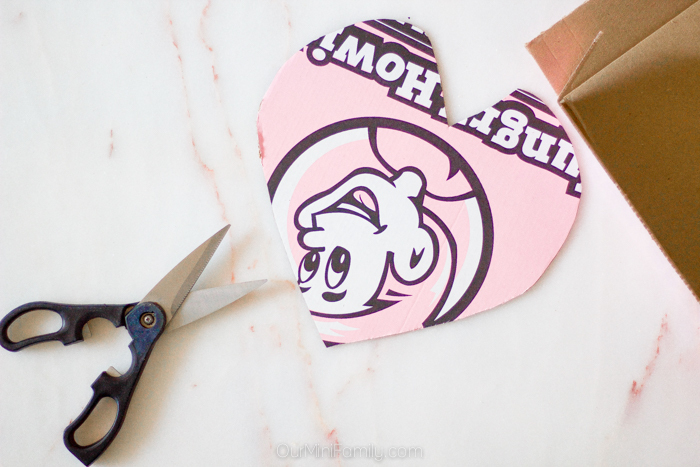 Using your empty, pink pizza box from Hungry Howie's, construct or cut out something that represents your inner pink warrior! This could be something like a shield, a sword, or something metaphorical that represents how you stand up and go into battle for those fighting breast cancer (since I am a lover and not a fighter, I opted to cut out a shape of a heart). 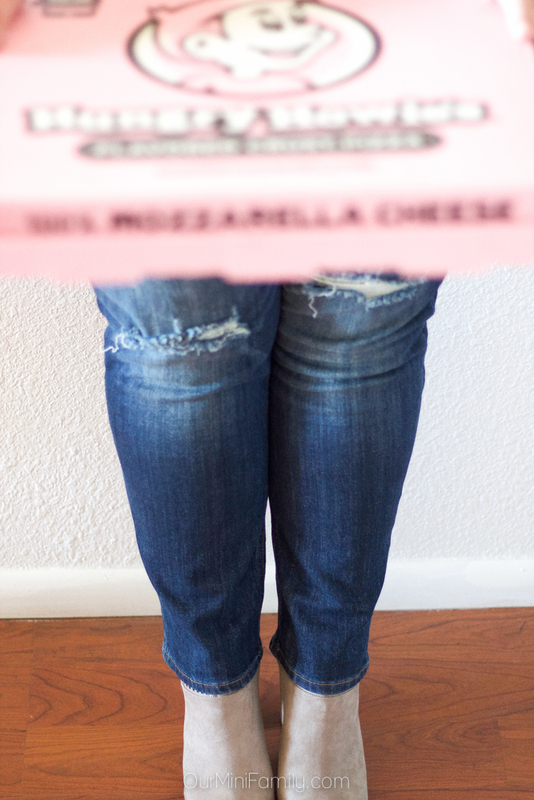 Take a picture with your pink pizza box creation! Upload your photo to Instagram and tag Hungry Howie's on Instagram, and also use the hashtag #LoveHopePizza and #Contest in your share! Isn't this an easy way to support Breast Cancer Awareness? Leave a comment below and let us know your thoughts! Please note, I am in no way responsible for awarding this prize. As a partner of Hungry Howie's Pizza, I am simply relaying this information to you, as a reader, to let you know you can enter to win the contest that is being organized, run, and awarded by Hungry Howie's Pizza. For more information regarding this contest, their pink pizza boxes, or any location or menu inquiries, please contact Hungry Howie's Pizza directly. Thank you! What a great promotion. I do love pizza so I would buy plenty. 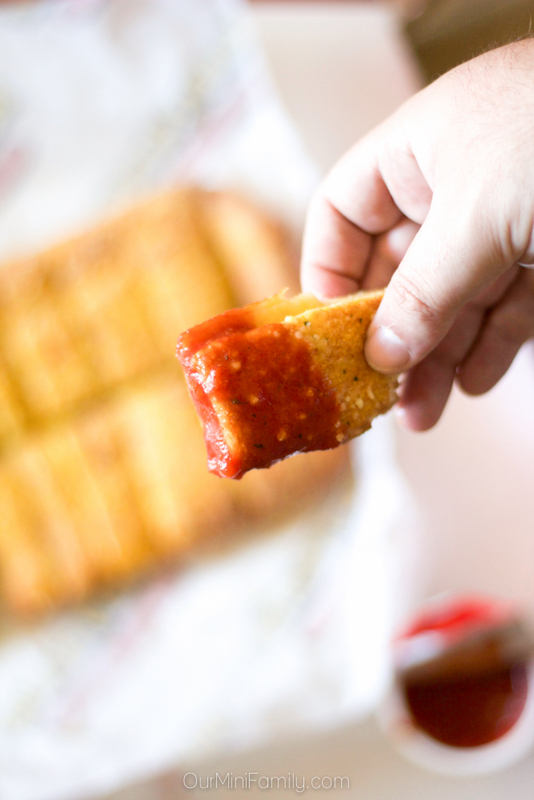 My Hungry Howie's orders NEVER look this good. I'm jealous!! This is very cool, though. I'm loving what they're doing but supporting a good cause. OH WOW! That pizza looks unbelievably good. It is a really great cause to be supporting. I love it when supporting a good cause can also be a delicious experience! The food looks amazing. What a great way to help! And who doesn't want to win free pizza for a year? I would totally love that! What a fun way to support such a worthy and important cause! This is so beautiful and I can so relate to awareness and I am a cancer survivor myself and part o these campaigns. Who would say NO for pizza?! This is a clever initiative plus have a chance to help supporting the cancer survivor campaign. I have to say, I sort of miss pizza after look at all that. I haven't had it in 17 years.